There are tons of interesting pictures posted to Instagram all the time, but unless you’re using the iPhone apps, the website, or Android app you can’t really see what’s going on there. 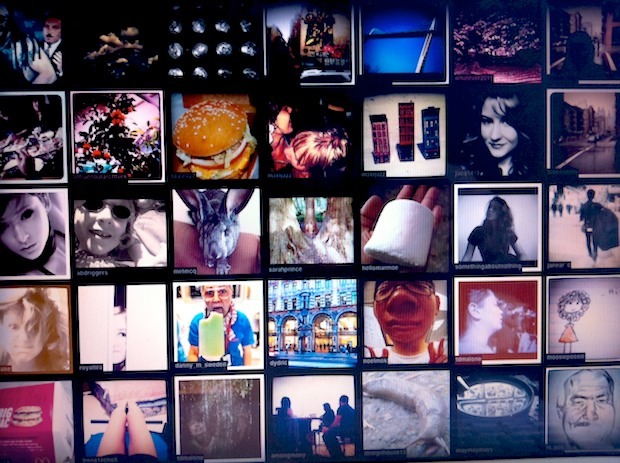 That’s where Screenstagram comes in, it creates an attractive screen saver using an array of images pulled from either public photos or your personal Instagram feed, and sets those images as a lovely changing grid screen saver in Mac OS X or Windows. 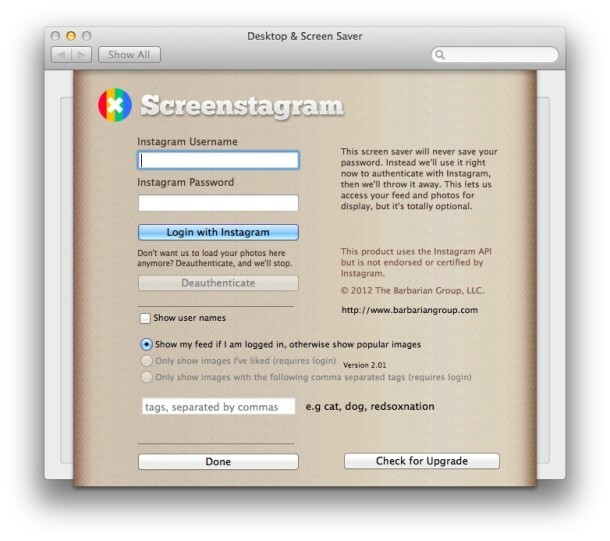 Screenstagram, the Instagram unofficial screensaver, is available free for Mac OS X and for Windows, so it doesn’t matter what platform you’re on you can set it as your screen saver. Installation is very easy, just double-click and you choose to install the screen saver like any other. You can configure some options if you want, like setting specific tags to display, or specific usernames, whether to show user names of posters or not, and so forth. 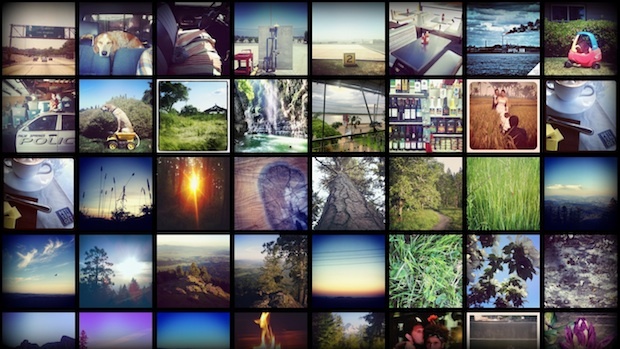 There aren’t many options within the screen saver which keeps things simple, but you can either specify a Instagram login and pull pictures from your own feed and who you follow, or just let it load from the “popular” public feed. For what it’s worth, Screenstagram is really at its best when you follow some interesting people who post things you actually want to see and not necessarily random photos from John Q Public from the Instagram trending feeds, so unless that’s what you want to see, take the time to curate your Instagram stream and set it for your own account for the best results. You could even create a unique Instagram account specifically for this purpose if you wanted to, it’s up to you. The photos are either as exciting or as mundane as what you follow on Instagram, or depending on whats popular at the time. Most of the ‘popular’ pictures are of celebrities, selfies, and memes, so if you’re not into that, try curating a specific stream for best results. What do you think? Cool huh? I think so, let us know in the comments if you know of any particularly great instagram feeds to follow, I find both @colerise and @zaknoyle to be particularly great for landscapes. 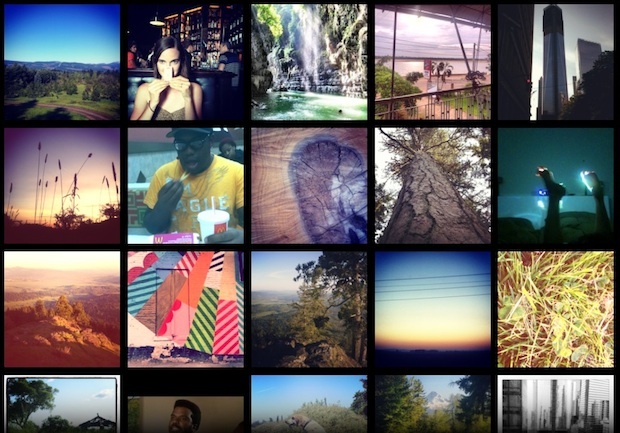 If you’re not an Instagram fan you can also use Flickr feeds as screen savers, or go the oldschool route and build your own with a folder of pictures directly in Mac OS X.